VOTE for your favorites in 2017! Note: You must have a Google account to vote – it is free and easy, click here if you would like to set up an account. FAQs about the TWIPYs? Click here. 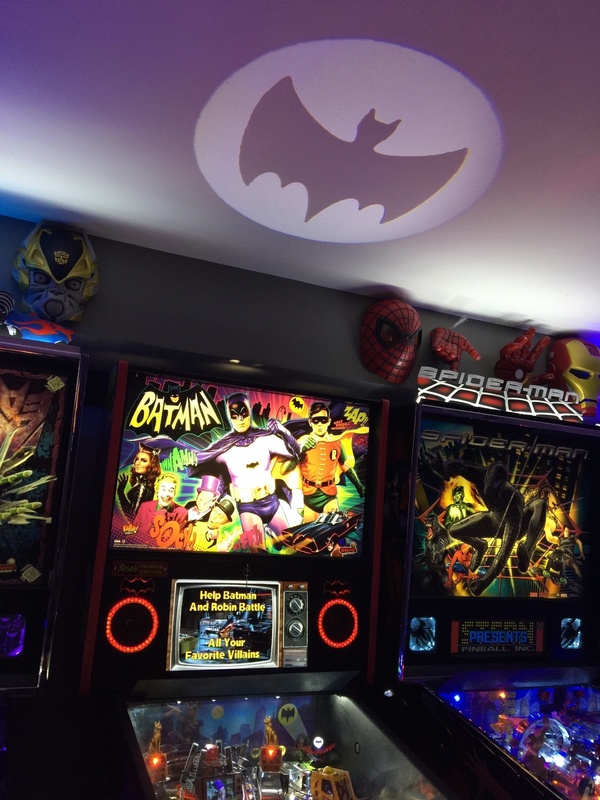 Stern Pinball released a code update last week for Batman ’66 – for full details of code v0.84, click here. One of the notes in the update included the following: “Added CHANNEL CHANGING for the main TV when small TVs are displayed. Press and hold the GADGET BUTTON for ~1/4 second to change the video, music, and lights that are associated with the main TV.” What does this mean? Opening up the area to the right of the pop bumpers under the flyover ramp. This has resulted in a lot more popbumper action and the ball seeing a lot more side to side action on the playfield. The engineering drawing above has several small arrows in it as a reference for the playfield artist to reposition some elements of the artwork. The variable push target under The Mole has been replaced with a captive ball, which seems to work a lot better during game play. Two in/outlane posts have been added to prevent the all too easy loss of balls down the outlane. This has extended ball times and makes the game much more enjoyable. The size of various toys on the playfield has been adjusted. TB2 will be smaller, see the prototype model above next to the original sized TB2, while The Mole will be about 20% bigger due to the use of a more reliable, steel shafted motor. Mike from Homepin also shared on Pinside that “there are no machines headed outside Australia and New Zealand for at least the next 12 months”. For more info and some exclusive pictures of the changes mentioned above, visit Pinball Magazine’s November Recap here. Guardians of the Galaxy – We have several updates coming before the holidays, with 1.0 slated for January. We’re still working hard on balancing and polishing sound assets; it’s an ongoing process and clearly we are aware of some of the issues. We have every intention to make the audio package and game experience spectacular. **TWIP NOTES: v0.73 was released last week – click here for details. There are unconfirmed rumors that v0.90 may be available by December 15th in time for GOTG Launch Parties. More unconfirmed rumors are saying that the custom call outs from Rocket will be included with that update. Depending on which character you select, the heroes will receive additional perks with Leia’s bonus increasing all scoring in the 4th missions, Han increasing the timer to last longer during the Escape from Boba Fett mode and Luke’s bonus adding a higher scoring opportunity in the Light Saber Duel mode. Batman ’66 – The dedicated programming team is still working on another release around the New Year. This will include additional minor villain modes into the mix. Ghostbusters – With Star Wars coming to completion soon, we will be focusing on a final update for Ghostbusters. Aerosmith – Aerosmith will be getting a little more polish. KISS – KISS code will have a final update in the near future as well. Stern also mentioned that the Star Wars accessories would not be released until after the holidays. In addition, Stern announced their expansion into China and that their exclusive importer and distributor for China would Guangzhou Stern Electronic Technology Company – for the full announcement regarding Stern in China, click here. Project Pinball is an organization that “places pinball machines in children’s hospitals to provide recreational relief to patients, family members, and hospital staff”. A video was released last week on the Stitch Facebook page that highlights their efforts – view it here. …Trivia – did you know nothing really rhymes with bulbs? 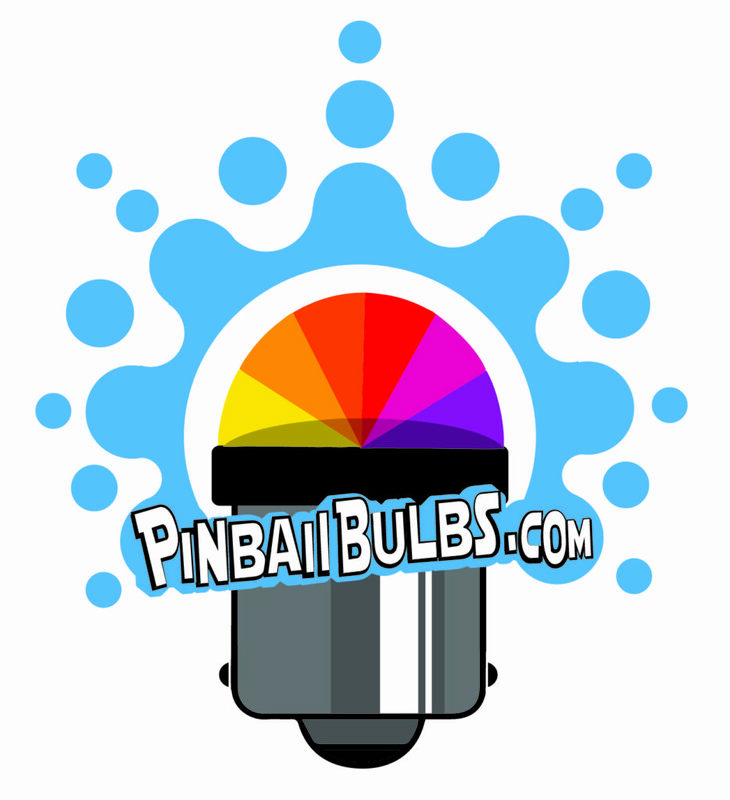 15% off Pinball Bulbs: Visit Pinball Bulbs and enter promo code “ThisWeek15off” to save 15% off everything on the site! It’s the perfect time to get an LED light kit for your game, check them out here! 10% off Pin Stadium Lights: Save 10% off your purchase at pinstadium.com by entering promo code “twip”! Do you want to win a FREE Pin Stadium Lights Kit at the end of the month? To enter, just visit this website and enter your info. That’s it, you’re in the drawing! What’s Happening with PAPA 21? 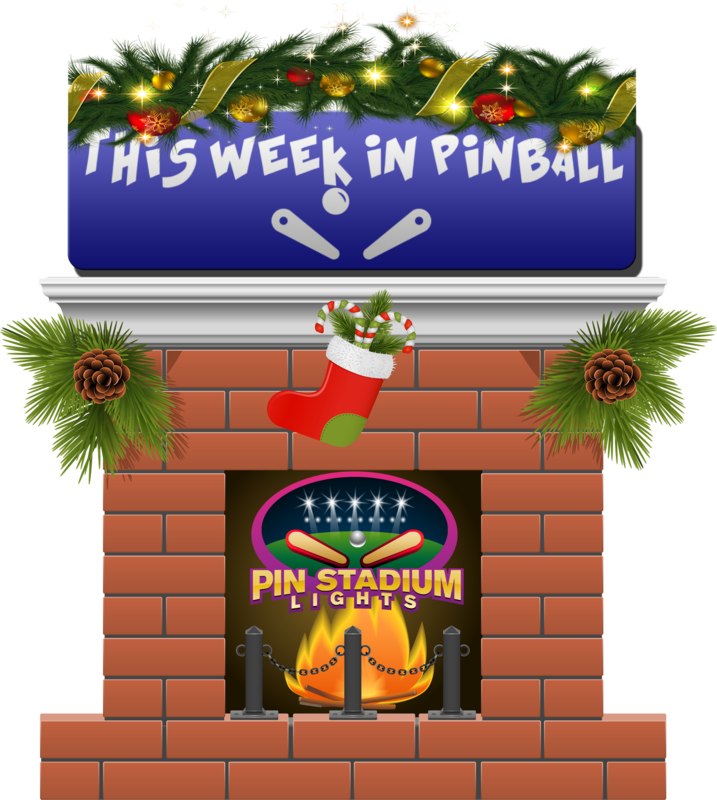 The PAPA World Championship, which is one of the four tournaments considered to be a Major Championship in the sport (yep) of pinball, has not been scheduled for 2018 yet. There has been a lot of speculation as to if and when the tournament would be held. Last year, PAPA 20 was won by Escher Lefkoff and was held April 5-9, 2017. PAPA is currently in the midst of selling their current building and searching for a new building, and have yet to schedule PAPA 21. We received an update on Tilt Forums last week that PAPA 21 would NOT happen in early 2018 (the past several years it has been held early in the year). PAPA also declined the invitation to be part of the Stern Pro Circuit since they do not yet have a firm date or facility. TWIP will keep you updated as more details are released. Congrats to Luke French who beat out Brett Goodwin to win the Queensland Pinball Championship in Australia. 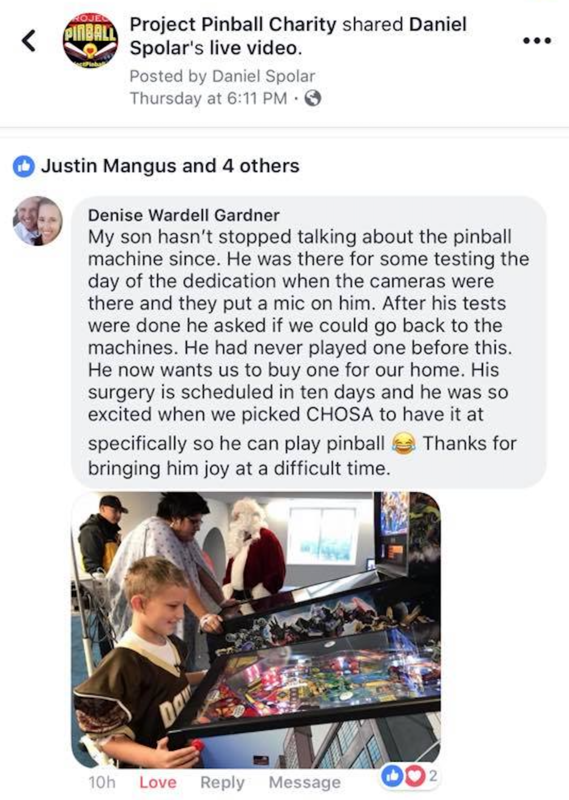 The championship was streamed by Jack Danger of Dead Flip and got quite a bit of news coverage, including the video in this tweet, this article, and this video where Jack Danger is referred to as an “international pinball sensation”! If you’re not watching Bro, Do You Even Pinball? on Thursday nights, you’re missing out! Every Thursday at 8 PM EST tune in on their Twitch Channel here for a game tutorial some competitive gameplay with some shenanigans thrown in. Last week, a real dinosaur was included with the stream – check it out here! American Pinball launched a new website this week as Houdini is getting closer to production – check it out here! What are the top 10 upper playfields of all time in pinball? Zach and Greg of Straight Down the Middle: a pinball show discuss their top 10 here – do you agree or disagree? Dialed In! had another code update this week to v1.52 – click here for details! ColorDMD announced on Facebook that LCD displays should be on sale again soon, and that they would release one more title before the end of the year – check out the full Facebook post here! 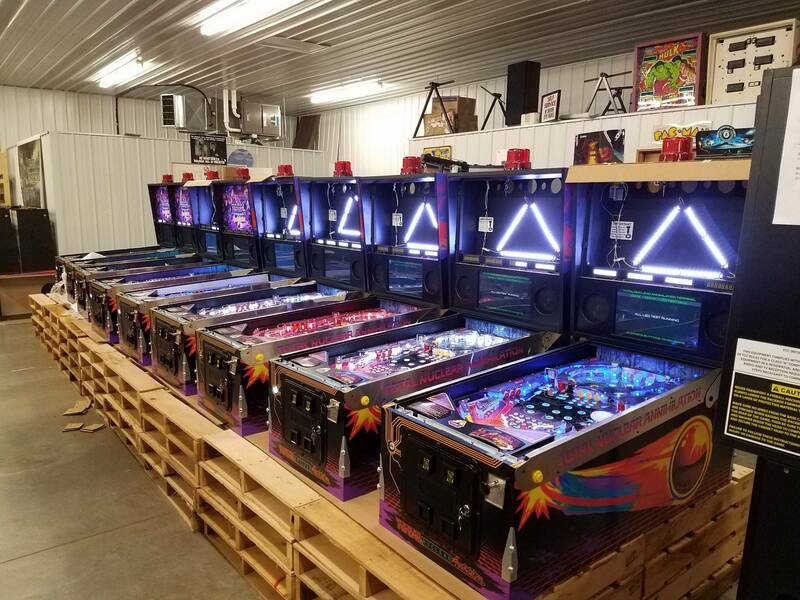 A couple in New York transformed their home into a pinball paradise and…WOW – check it out here! VP Cabs finished their first production sample of Dead Man’s Hand – check it out here. We also saw their limited edition wood laser etched plaques – take a look at them here! Remember the 30 Years of Stern coffee table book from Kickstarter? An update was sent to Kickstarter backers – see the full update here. Spooky is manufacturing the Total Nuclear Annihilation machines and posted a nice pic from the factory. The Pinball Profile announced they will have Gene Simmons on an episode that will be released tomorrow so check it out! We’ll soon be releasing an interview with a top pinball designer – stay tuned! **TWIP dreams of the day Harry Potter Pinball will be added to these rumors. Ms. Rowling, I’d be willing to give Dobby ALL my socks if you approve this! 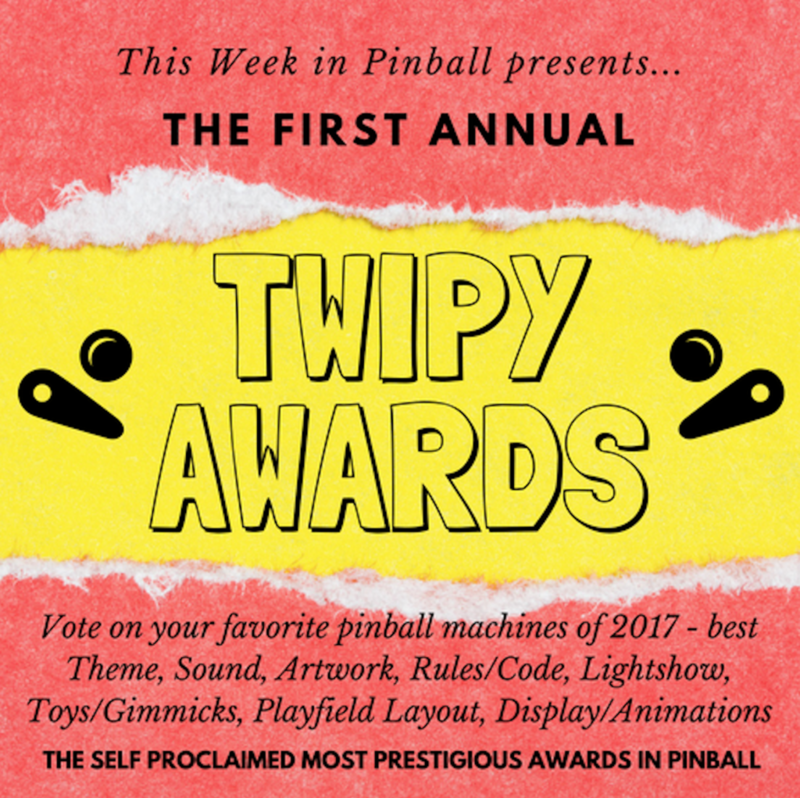 Previous Previous post: The 2017 TWIPY Pinball Awards – Vote Now!